This baby doll pattern is perfect to use materials you already have around the house or inexpensive supplies easily sourced locally. It will fun! I hope you’ll join me. Adorable! I can’t wait to make one for my g-daughter ? Hi Kris! Yay, how fun! 🙂 I’d love to see your baby. Glad you’re here. WHERE CAN I GET THE PATTERN ? Hi Tammy! 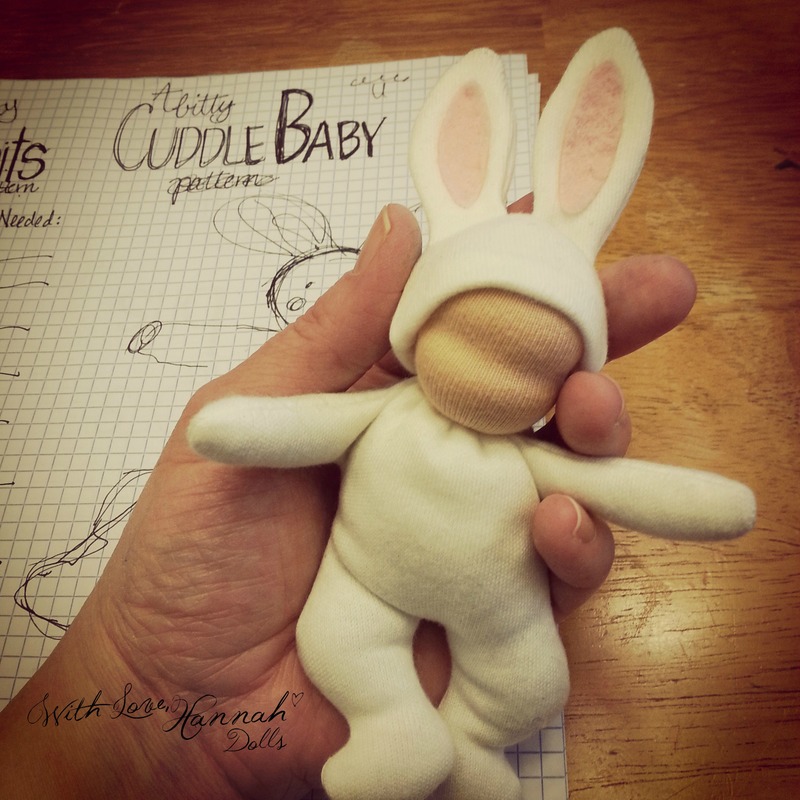 Here ya go: http://withlovehannah.com/bitty-bit-cuddle-baby-pattern-is-ready – Enjoy! Please put me on your list for a pattern. Your work is so cute. If you want to receive notifications from me, there’s a newsletter sign up in the right margin of all the pages here. Appreciate you stopping by & commenting. It’s so cute! I can’t wait! Love these dolls but have not tried making one yet. Can’t wait for the pattern to try myself. It looks fantastic! This doll is precious and inspiring, I am in the process of finishing 5 tiny Waldorf doll heads. Hope we will see your pattern soon, thank you!!! Next Next post: Bitty Bit Cuddle Baby Pattern is Ready!